First of all let me excuse me if this is not the right place to post but didn't find the information I was looking for in any place. 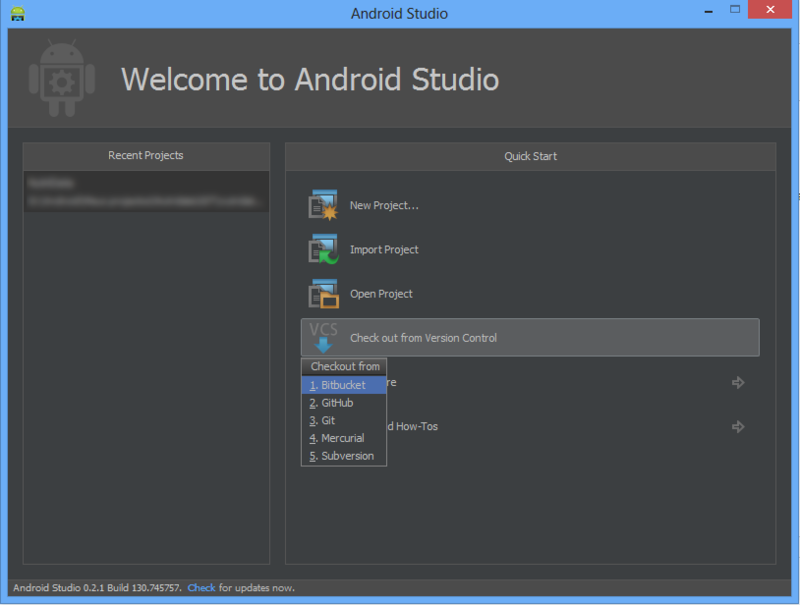 Since I'm moving to android studio i've followed the instructions here and exported my project to android studio. I've commited the changes to bitbucket at this point. After instaling the bitbucket plugin and providing my account details I've tried to import my project with no success. 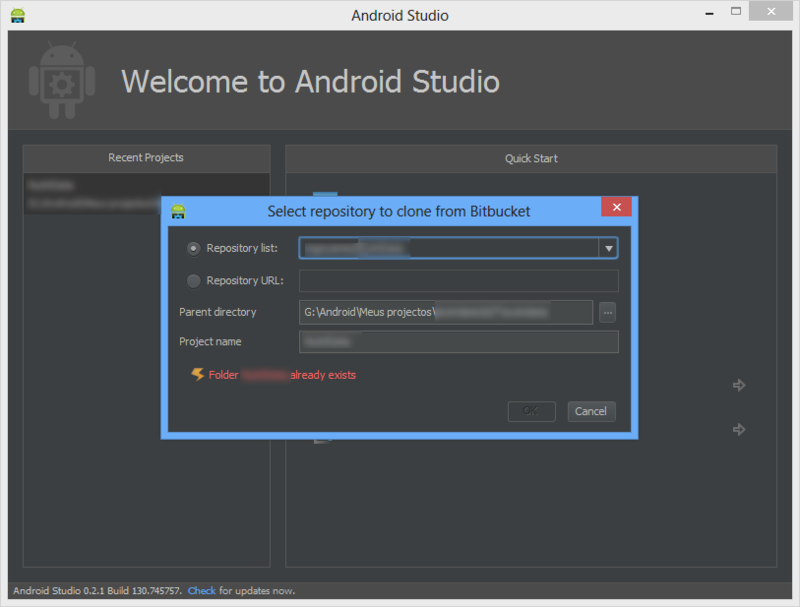 I enter at bitbucket, select the desired repository and tryed to put in the already existing directory on my computer G:\.....\myappname (This is where my project was located when using eclipse). No can do. Geting a message with that folder already exists. Step two: Doing the exact same thing but know choosing a diferent folder at my computer. 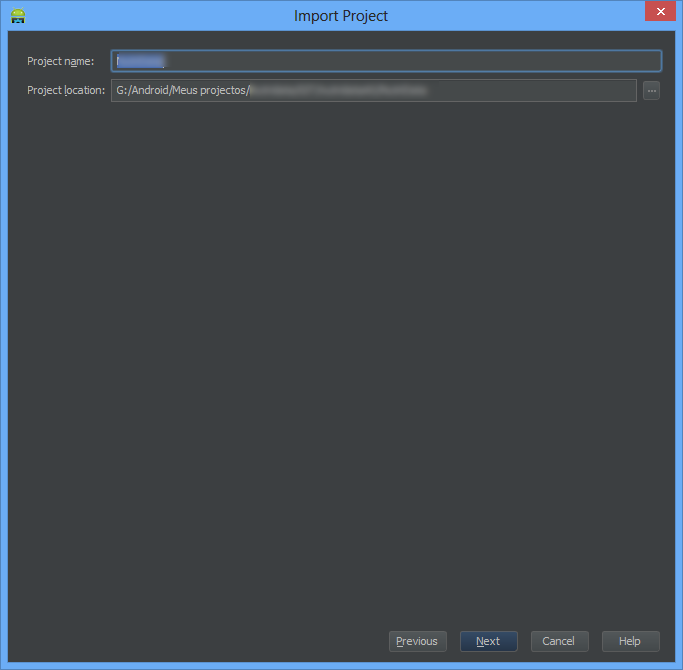 Now I can press the OK button and at this message selected "Yes" and next selected "Create project from existing sources" and after selecting the project name and project location selected "Next" and got the message "Source files for your projecdt not found"
Step three and final step. Now I've tried to directely import my project from the harddrive directory. 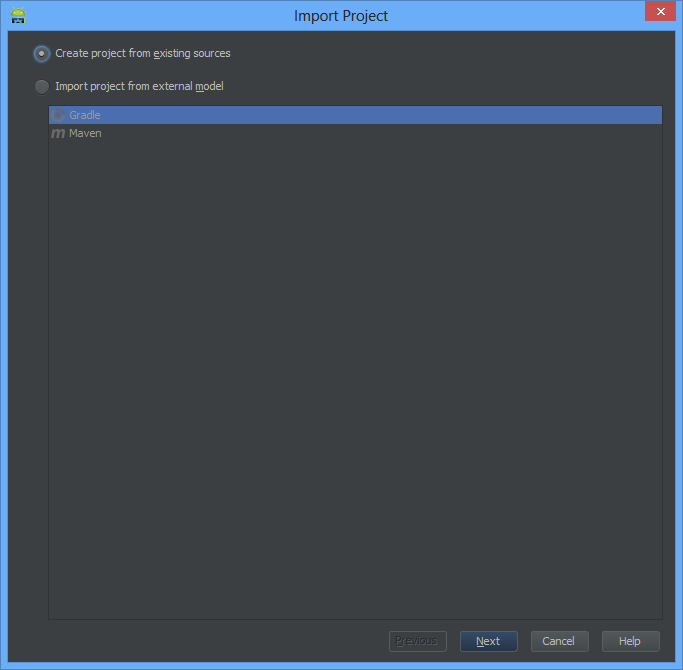 At the welcome screen, selected "Import project" and as the instructions here selected the build.gradle file on the directory that was the original eclipse project. Now I can run my project but still can´t connect to bitbucket. And the IDE error was this "11:05:20 IllegalStateException: Can't deserialize target data of key 'IdeaAndroidProject'. 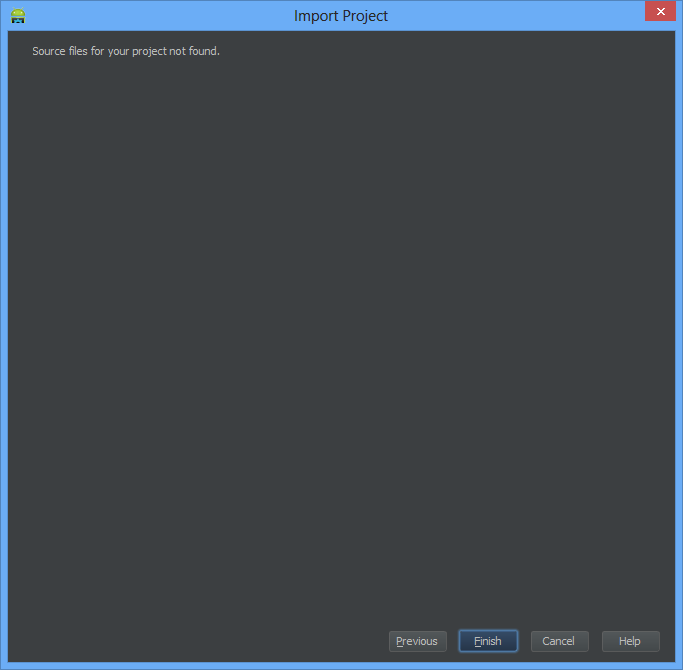 Given class loaders: [com.intellij.util.lang.UrlClassLoader@660b1b14, com.intellij.util.lang.UrlClassLoader@660b1b14]: Can't deserialize target data of key 'IdeaAndroidProject'. Given class loaders: [com.intellij.util.lang.UrlClassLoader@660b1b14, com.intellij.util.lang.UrlClassLoader@660b1b14]"
With eclipse I just ad to install the plugin. Do I have to install anything more? 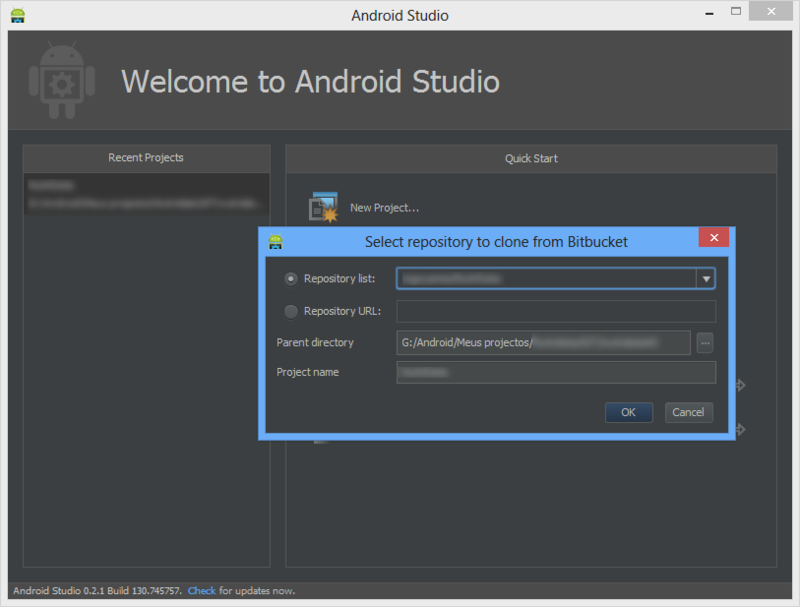 Can someone help me conecting my android studio project with my bitbucket repository? Sorry but this question relates to some AndroidStudio-specific stuff we're not familiar with (Can't deserialize target data of key 'IdeaAndroidProject'). Please submit corresponding ticket to AndroidStudio tracker.